Building networks that serve millions or even billions of people presents a set of complex, and often unprecedented, engineering challenges. 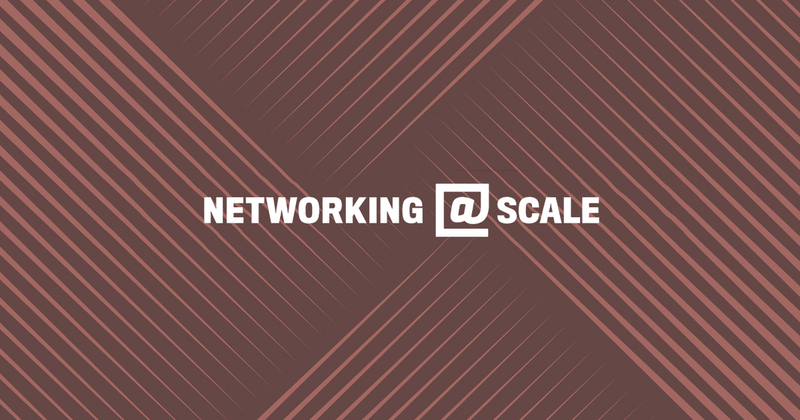 Networking @Scale, the latest iteration of the @Scale conference series, brought together speakers from Facebook, Fastly, Google, JPMorgan Chase, Microsoft, and Netflix, and more than 350 people from the networking community, to openly discuss these challenges and collaborate on the development of new solutions. The conversations throughout the day ranged from data center hardware and fabric, to cloud networking and CDNs, to low-latency trading networks and application protocols such as SPDY. Check out the talks below to hear from some of the industry’s leading voices on networking solutions that scale. In this talk, we heard about Google’s OpenConfig and the need for a network configuration framework guided by software-defined networking principles, with a focus on developing common models of network devices, and common languages to describe network structure and policies. Facebook’s engineers delivered an exciting three-part talk in which we announced “6-pack,” the first open hardware modular switch. You can read more about “6-pack” here. This talk dove into how Fastly built a highly performant, real-time CDN that was reliable and scalable, and explored the building blocks that made it possible. This talk covered the design principles, key elements of implementation, and future work applications of Azure Tables at Microsoft, and included a live demo of RTable. Netflix is responsible for 35 percent of North American bandwidth. In this talk, we heard about how they built their CDNs at scale. The final talk of the day focused on mobile networking challenges, and we heard about the work that Facebook is doing to develop and implement scalable solutions.